The first spirit flowed from the stills of the Chichibu distillery in 2008. It was established by Ichiro Akuto who is 21st generation of the drinks dynasty. His grandfather established the now closed Hanyu distillery in 1941. The last of Hanyu casks were rescued by Ichiro and now form the Ichiro's Malt Card series. 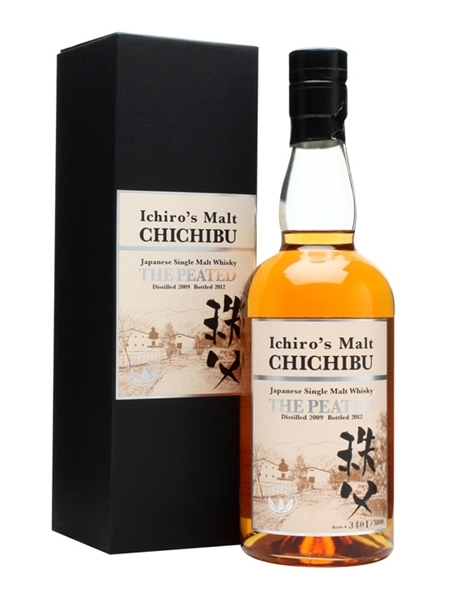 The first Chichibu bottling was simply called "The First", followed by "The Floor Malted", produced from traditionally malted barley and subsequently, "The Peated". A heavily peated whisky (cask No. 451) featured in a blind tasting was mistaken for a 12 year old, when in fact, it was only 12 weeks old. Chichibu 3 year old (~€110) is double distilled, ~51ppm peated and bottled at 50.5% ABV. It has been matured in bourbon barrels, refill hogsheads and new hogsheads.